Four years after his Olympic debut in the 4x400m relay, Omar Cisneros looks forward to his first 400m Hurdles experience at the Summer Games. He is certain he will need to improve his personal best of 47.99 to aim for a medal in London. The middle child of three siblings, Cisneros was born to Omar Cisneros Sr., a mechanic and former 400m runner, and chemical engineer Marta Beatriz Bonora. His father wanted to enrol him in athletics, but he preferred other sports, especially baseball like many Cuban children. 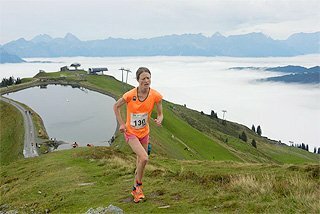 “I was asthmatic and did not want to run as I easily suffocated. By playing baseball, asthma symptoms disappeared and I became more comfortable running,” he recalled. Encouraged by his father, he took up athletics at the age of 11 in his hometown of Nuevitas and soon moved to the provincial sports school, in the city of Camaguey, to train with coach Amada Vergara. Good results at local meets earned him a promotion to the Provincial Sports School, where he specialised in the 110m Hurdles and High Jump. His first national competitive experience came at the 2004 National School Games, where he collected silver overall in his combined events featuring the High Jump and 110m Hurdles (60m, 60m Hurdles, High and Long Jumps). He cleared 1.80 for equal second. A year later, he contested the National Junior Championships with the main focus on the 400m flat. He finished fourth in a personal best of 49.2. He tried the hurdles over the same distance and finished seventh in 59.8 seconds. In 2006, he improved to 48.95 for fifth on the flat and ran the hurdles in 53.26 for silver at the National Junior Championships. The latter result opened the doors for him to join the National Junior team at the end of the season. “I was thin and short so I passed unnoticed. My current coach Ricardo Molina did not see me before joining the team but was certain about my potential following my 53-second run,” he recalled. Under head coach Ricardo Molina’s guidance, he made huge strides in one year. As early as February and March, he ran 46.07 and 46.05 in the 400m flat, and broke the 50-second barrier with 49.97 over the hurdles, moving to the third spot in the national rankings, behind national record holder Yacnier Luis and Sergio Hierrezuelo. His fine early season form earned him a trip to his first international competition for the ALBA Games, in Caracas, where he did not disappoint, taking gold in a new national junior record of 49.57. 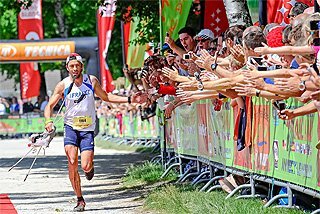 Back home, he suffered a muscular injury in his right leg, which did not allow him to run the barriers. He focused on the flat, taking the national junior title and advancing to the semi-finals at the Pan American Games in Rio de Janeiro. “Conditions were difficult in Camaguey and I did not have the same motivation as in Havana. Training was a lot harder and that’s what explains such rapid development in just one year,” he commented on his rapid rise. The same muscle injury slowed down his progress in 2008, especially in the hurdles, but he still managed to run the 400m flat, taking the 4x400m gold at the Iberoamerican Championships in Chile and at the Central American and Caribbean Championships in Cali. 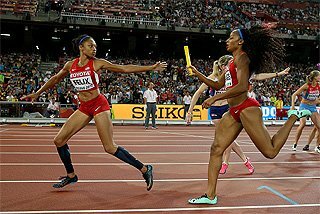 Those performances sealed Cuba’s qualification to the Olympics in the relay. 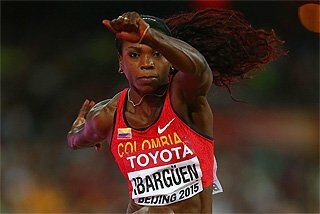 In the Colombian city, he added a bronze medal and a personal best of 45.98 in the individual event. At the Beijing Olympics, he anchored the Cuban squad which failed to qualify to the final. “It was my first time running with the world’s best. 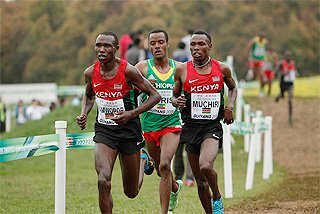 It was very different from competing in the region and it motivated me to train harder and try to be like them,” he commented on his Olympic debut. Cisneros returned to the track much healthier in 2009, improving his 400m personal best to 45.76 early in the season and staying very consistent with 11 races under 50 seconds in the hurdles. At the Barrientos Memorial, he became the second Cuban to dip under 49 seconds (48.87), a performance that allowed him to make the national team for his first World Championships, in Berlin. Before heading to the Worlds, he finished fourth at the Central American and Caribbean Championships in Havana, where he also competed in the winning 4x400m squad. 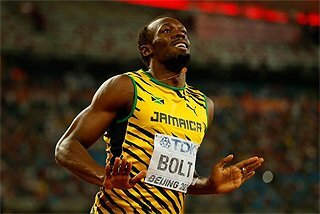 In the German capital, he ran two good races with 49.27 and 49.21 and finished fifth in his semi-final. 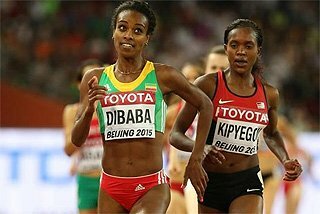 “I arrived in great shape in Berlin and running two races against the world’s best boosted my motivation. I knew I could get to their level,” he reflected on his experience. Still nursing a recurring muscle injury, he ran 11 races under 50 seconds in 2010, a season that ended in July for him. He was invited to his first Diamond League event, in Doha, and later won both the individual and relay gold at the Iberoamerican Championships in San Fernando, Spain. He ended the season with two superb races in Havana, eclipsing Yacnier Luis’ national record twice by a huge margin. He first ran 48.29 and improved it to 48.21 two weeks later. The following season marked a breakthrough in his career, but he had to wait until his last race of the year to make a statement. After receiving a scholarship from the IAAF, Cisneros won all his five races in June-July, but returned to Cuba and missed valuable competitive experience before the World Championships in Daegu. Though not fully recovered from a jetlag, he still managed to qualify for the semi-finals, but was far from his best. “I trained alone in Havana. 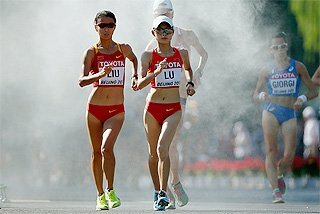 In Daegu, I ran the first 200m very fast, but lacked strength in the home stretch,” he said. In the final, he showed what he was capable of, running 47.99 for gold and equalling his compatriot Frank Montié’s victory at the 1983 Games in Caracas. “I knew I could break the national record, but did not expect to run under 48 seconds. Guadalajara marked a turning point in my career and it confirmed I can dream of something bigger in the London Olympics,” said Cisneros. He added another gold in Guadalajara by running the third leg of the Cuban 4x400m squad, which clocked 2:59.43, just three tenths off the 19-year old national record set at the Barcelona Olympics. 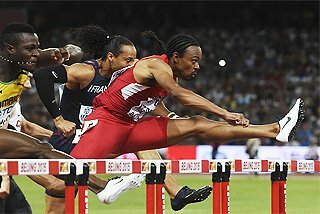 In 2012, he opened his season over the barriers running 49.71 against 2005 World champion Bershawn Jackson and twice World Championships runner-up Javier Culson. He set his season’s best with 48.90 in Brazzaville before finishing sixth at the Diamond League event in Paris, his last race before the Games. 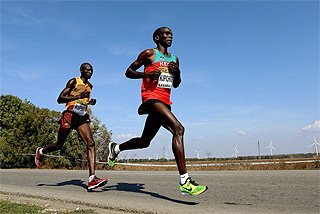 “I have had the same muscle problem in January and February and it slowed down my preparation for London. I am in good form, but I did not have as many races as I would have liked. Like any athlete, I want to win a medal, but I will take one race at a time, reflected a confident Cisneros of his Olympic goals. He is also expected to run the 4x400 relay. 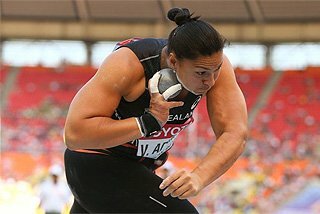 “It is difficult to reach world class level in athletics, but it is even tougher to stay at it. I am training hard to stay among the world’s best,” he added. 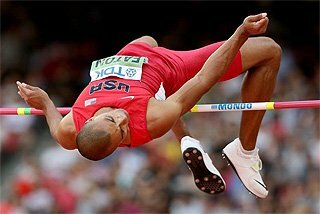 Cisneros considers himself as a well balanced hurdler, with his strength lying on the last 200 meters. “I hit the first hurdle after 20-21 steps, continue with 13 steps between hurdles until the seventh hurdle and finish off with 14,” he described. Off the track, he enjoys quality time at home with his wife, former Long and Triple Jumper Dayana Tellez and their two-year old Dayanira, born 24 July 2010. He enjoys cooking recipes learned from his mother in law, listening to music and watching movies. “She (her daughter) is everything to me. She is the reason why my results have improved so much in the last two seasons and why I am more devoted today. Also my dad, who has also given everything to me,” he said. His parents visit him often in Havana. Cisneros is also studying Physical Education at the Manuel Fajardo Higher Sports Institute in Havana.